120th Commemorative Service for the arrival of our pioneer ministers was held at Hamakua Jodo Mission on Saturday, September 20, 2014. 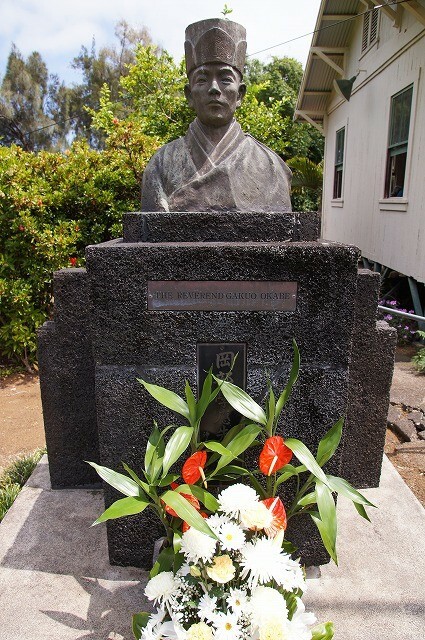 Founder of Hamakua Jodo Mission, Rev. Gakuo Okabe. He landed Hawaii on August 3rd, 1894. 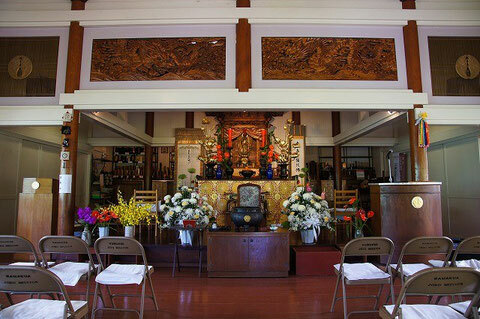 In 2 years, he established the first Japanese Buddhist Temple in the State of Hawaii. 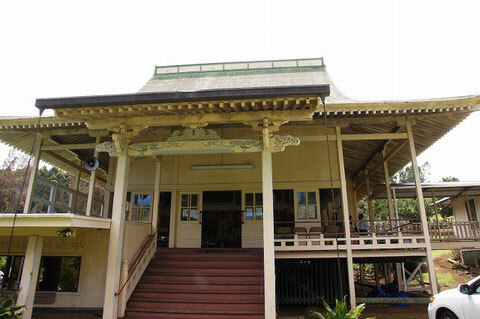 This temple building was built in 1918, which means it is newer than our old temple building at Koloa (1910). Each day, each hour, each minute, and each moment are supposed to be "special." However, as we get series of routines, we all forget about it and we have many things and actions that we do automatically. In other words, we do many things such as waking up, eating, discharging, and sometimes working without thinking. How we can remember each moment is special? I think, generally, observing an anniversary celebration is one of the answers. As we all know, we cannot change history and we cannot reset life. 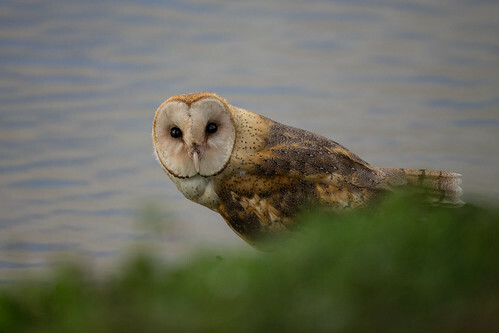 Moreover, we cannot change what was done in the past. However, anniversary celebration always give us a chance to reset our feeling. We cannot change life but we can always change ourselves to accept it. We cannot change history but we can always create new history in the future. It is my sincere hope through the opportunity to observe the 120th Anniversary Service for the Hawaii Jodoshu Ministry, we can renew our gratitude and enjoy this special moment which was brought by our predecessors.